This is a very special card that I made for a special someone. The woman receiving it underwent a double mastectomy. We all know, this is a a traumatic experience for anyone and also a time when any degree of gentleness that can be bestowed upon the recipient is absolutely important. Gentleness is the sentiment I wanted to convey with this beautiful card and envelope, and as it was requested, a little humor as well. Laughter is the best medicine of course! 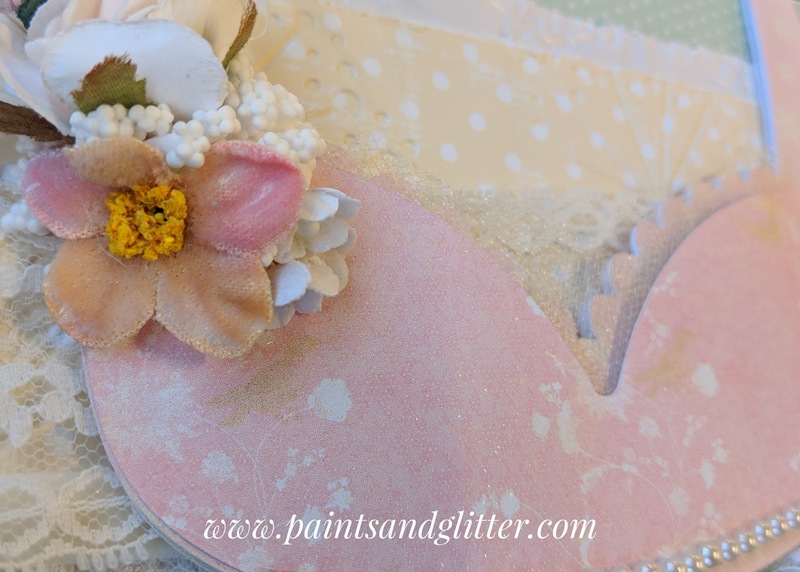 I began with a brassiere that I designed and selected a soft pink pattern for. To make it even more delicate, I added several layers of antique lace, tulle, and texture throughout with soft embossed papers. 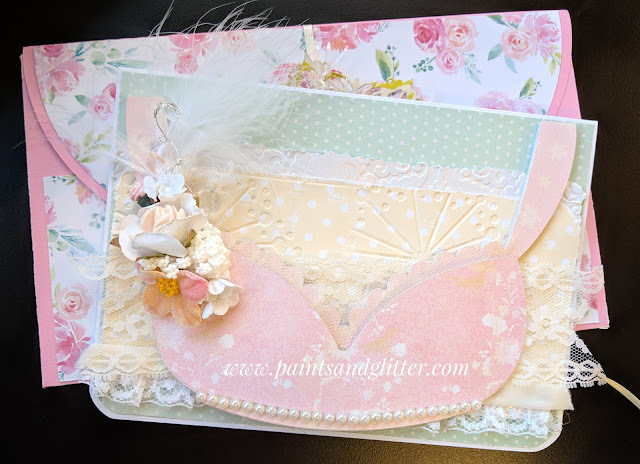 For a very feminine touch, the corsage included pretty flowers and a feather. It was important to me that it still keep the message that she is beautiful. "I'm here to support you". This was customized just for this card, and the larger background also opens to provide room for a larger message to be written. 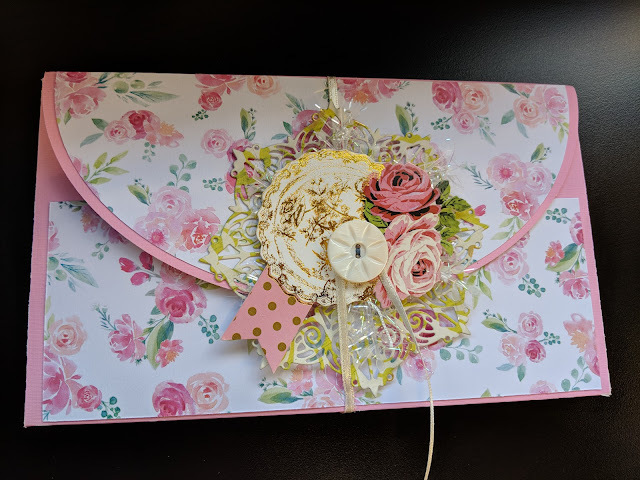 This card is very layered, so I was sure to make a matching envelope that would fit it nicely, and closed it off with a floral bouquet made from ephemera, a doily, and an antique bone button. This is all set on a beautiful background of floral and pink papers. I hope that you have enjoyed this post, and that you are always inspired by my blog to spread gentleness to others.